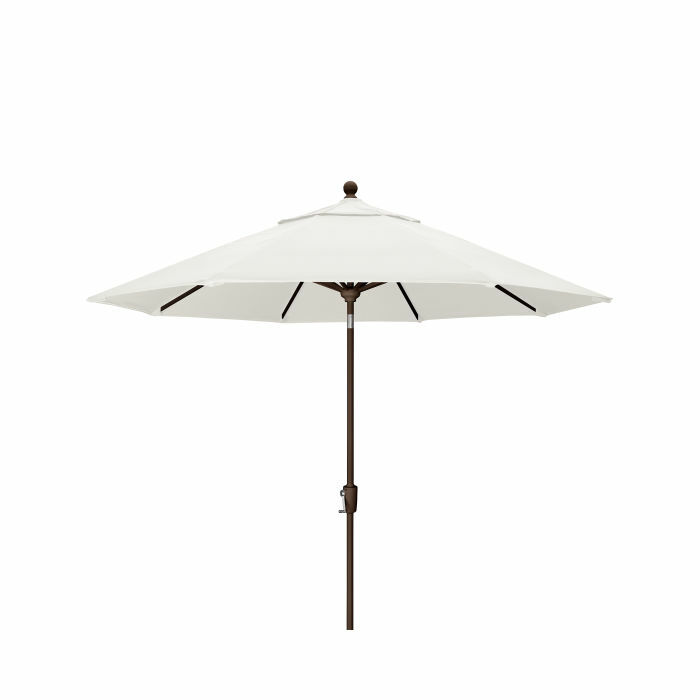 Transform your outdoor dining area into a shaded retreat with the addition of the POLYWOOD® 9' Tilt Market Umbrella with Base. This lightweight yet durable umbrella features a simple crank-to-open functionality and an adjustable tilt for optimal shade coverage. Transform your outdoor dining area into a shaded retreat with the addition of the POLYWOOD® 9' Tilt Market Umbrella with Base. This lightweight yet durable umbrella features a simple crank-to-open functionality and an adjustable tilt for optimal shade coverage. Choose from a variety of Sunbrella® fabrics to find the perfect combination to complement your outdoor space.